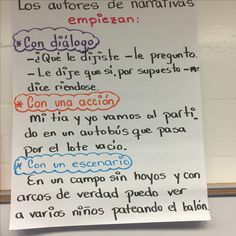 Since I began my journey in the dual language classroom, I have searched everywhere (and I mean everywhere) for a good word study program. When I was in an English-only classroom, I used Words Their Way. I was introduced to WTW when I was completing my master’s program, and have not looked back since. Words Their Way gave me a complete new outlook at how to teach spelling and why. The ‘one list fits all’ that I used to use gave me nightmares and honestly…my apologies to my past students who suffered through them. Last year, I began using a word study program designed by Irma H. Trujillo and a team of collaborators from the Department of Education. You can read in detail about my experience with this program here. 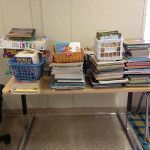 I didn’t feel I was being very successful, so I made tons of adaptations and changes to fit my needs and that of my students. This year I was introduced to Palabras a su paso (which is a word study program published by Pearson). I am in the early stages of trying the program with my level (2 classrooms), the primary level (2 additional classrooms) and early childhood (2 classrooms as well). I believe it is too early to tell whether I find the program to be effective, but I am glad to have my team members on board. Just as Words Their Way, Palabras a su paso program has the following components: teacher’s guide, the books that have each one of the sorts in ‘each one’ of the spelling stages, a big book of rhymes, and a library with books that match each one of the stages (etapas emergente, alfabética, y patrones only). So far I like how the program is sequenced and my students’ reaction to the word work. I will for sure keep you posted and let you know how we are all doing. And off course… I am curious to know you do spelling in your dual language classroom. Spanish book photo thanks to Juan Pablo Lauriente. How effective was Palabras a su paso? 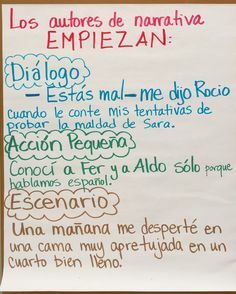 I am teaching a K Dual Language class next year and I am trying to find some great word study resources. Do you recommend Palabras a su paso? To be completely honest, I have mixed feelings about the program. My team and I have found spelling mistakes (?) and are not just super happy with it. Unfortunately it is the only resource we have found to be somewhat effective. For kinder I think it will be great – tons of pics and the beginning words are good. My fifth grade team just started using this in a full immersion program. Wondering if you are still using this program and how you structure it?